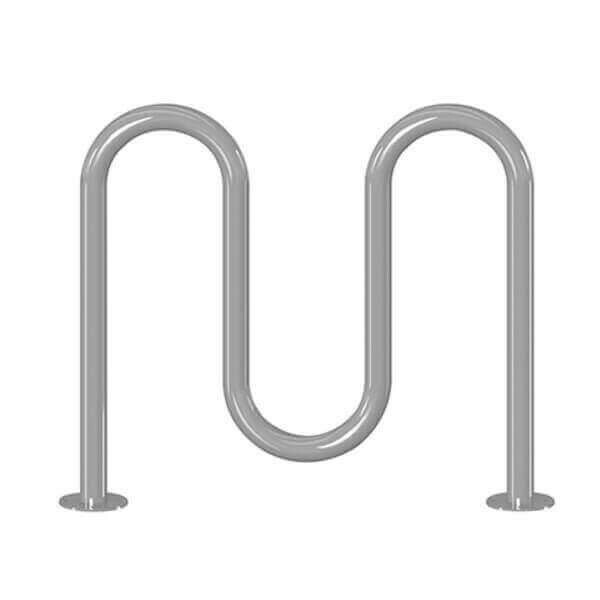 This 5 space wave bike rack is made of galvanized black powder coated 2 3/8" OD pipe. Choose from vandal resistant in-ground or surface mounting. 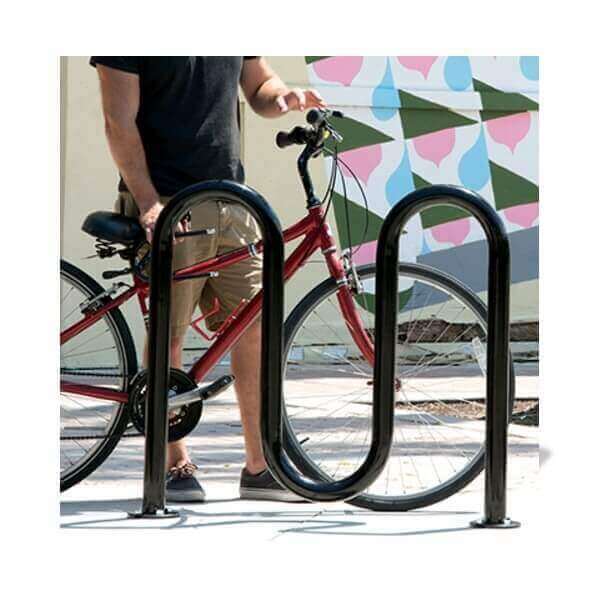 Surface Mounting requires the bike rack to be bolted down to a pre-existing concrete surface. 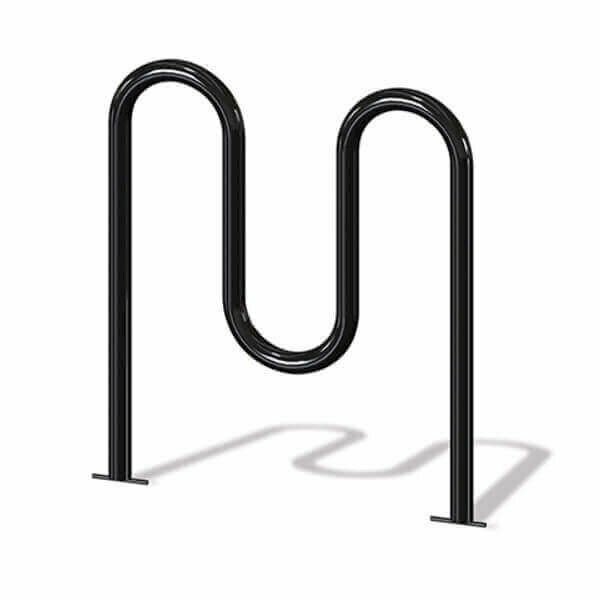 In-ground mounting requires the bike rack post to be placed into the ground with fresh cement poured. Made in the USA with 1-year manufacturer warranty.